Could this be a case of a lizard’s bad hair day? 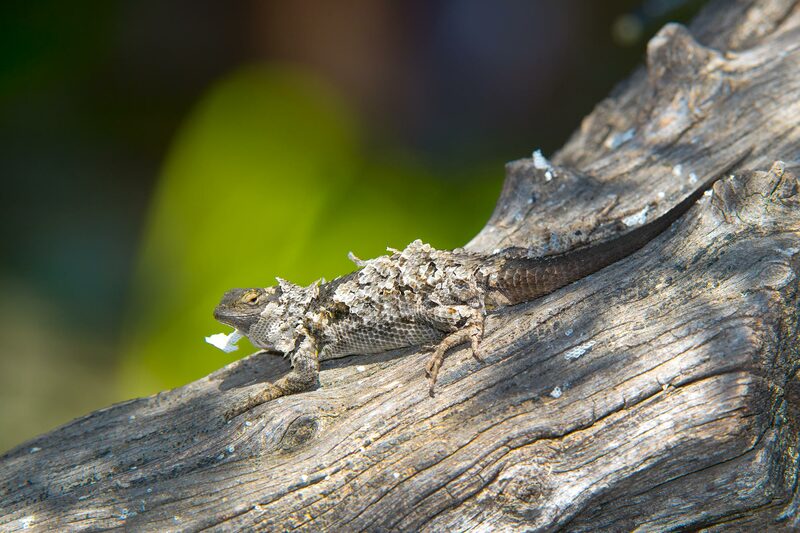 Fence lizards began emerging from their hiding places recently and now many are molting. This egg-laden female basked in the sun as she twisted and turned to speed along the process of shedding her old skin. It took about 30 minutes to be completely free of it.